John Bolton, the famously hawkish former Ambassador to the United Nations, will be President Trump's new national security adviser. The U.N. job was Bolton's highest-profile position, making him a household name during President George W. Bush's second term. Bush's decision to send Bolton to the U.N. was controversial in 2005 because Bolton was already known as a fierce critic of the organization. He had by that time been a veteran of the Reagan and George H.W. Bush administrations, and was in charge of the State Department's non-proliferation efforts. Bolton had successfully helped keep the U.S. out of the International Criminal Court, and was said to frequently spar with his boss at the time, Secretary of State Colin Powell. Bolton once argued that if the U.N. building in Manhattan "lost 10 stories, it wouldn't make a bit of difference." He had also said that, "there is no United Nations. There is an international community that occasionally can be led by the only real power left in the world, and that's the United States, when it suits our interests." His Senate approval hearings for the U.N. post were contentious, and his confirmation was filibustered by Democrats with the help of several Republicans. Bush eventually sent Bolton to the U.N. through a recess appointment later that year. After resigning from the Bush administration, Bolton joined the conservative American Enterprise Institute in Washington, D.C. He also became a fixture on Fox News, where he would frequently argue for the U.S. military force to resolve crises abroad, and publicly flirted with running for president. 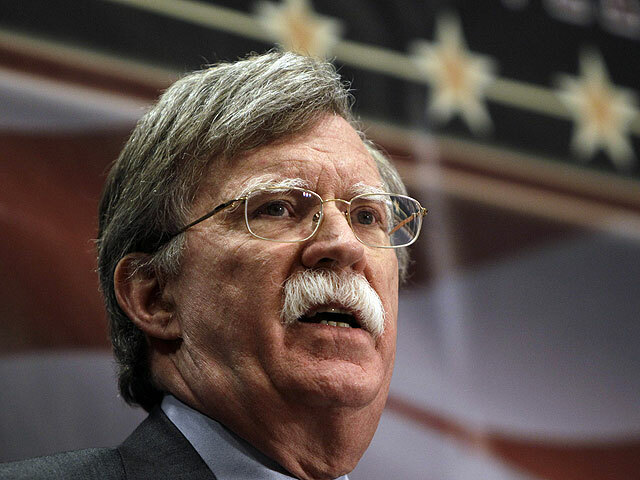 Bolton is particularly hawkish when it comes to North Korea and Iran, and has argued for preemptive American attacks on both countries. As recently as last month, he was arguing that the U.S. had a legal basis to attack North Korea in a Wall Street Journal op-ed. Bolton has also been a fierce critic of the Iran nuclear deal. The deal, which was negotiated by the Obama administration, appears to be in jeopardy now that Bolton is joining the White House. "Not only does the entire agreement reflect appeasement, but President Obama's diplomacy produced weak, ambiguous and confusing language in many specific provisions," Bolton wrote about the deal last year. "These drafting failures created huge loopholes, and Iran is now driving its missile and nuclear programs straight through them." However, Bolton and Mr. Trump do not always see eye to eye. For example, Bolton is a reflexive defender of the Iraq War, which Mr. Trump frequently criticized on the campaign trail. And Bolton is also wary of Russia and has called for a more aggressive stance towards Moscow, while Mr. Trump has emphasized the necessity of good relations with Russian President Vladimir Putin.